The immigration laws of the United States are some of the most complex in the world. If you have immigration questions you need an Oklahoma immigration attorney who is experienced in dealing with all of the many federal agencies that oversee the immigration process. The Wirth Law Office is ready to answer all of your questions and help you get down the correct path in your pursuit of immigration benefits. Getting a Green Card, or Lawful Permanent Resident status is the dream of many immigrants to the United States. However, the rules, laws, and procedures governing the process of obtaining a Green Card can be confusing and frustrating. You need an Oklahoma City immigration attorney who knows exactly what the government is looking for. 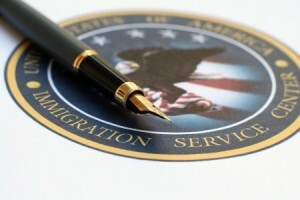 Whether you are looking to obtain a Green Card through marriage to citizen or lawful permanent resident, or you are trying to get a green card through an employer, the Oklahoma City immigration attorney at the Wirth Law Offices are ready to listen to your questions and provide you with clear and definite answers. Our knowledgeable and experienced team will help you navigate the sometimes lengthy, and always complicated path to getting a Green Card. If you are afraid of making a mistake, find an Oklahoma City immigration attorney who has already helped many other clients through the entire process. Becoming a citizen of the United States gives you many privileges and protections not available even to lawful permanent residents, or Green Card holders. Only citizens are able to vote in local and national elections. Citizenship is required to serve on a jury and to hold many top-secret government clearances. When you are ready to get your citizenship call to schedule a free consultation with an Oklahoma City immigration lawyer who understands the process. Citizenship is too important a privilege to risk making a mistake. There are hundreds of ways immigrants to the United States can find themselves in deportation proceedings. Once placed in proceedings immigrants can sometimes be detained in government facilities for the length of their case. Get an Oklahoma City immigration attorney who understands immigration detainers and deportation defense. You may be entitled to certain privileges, such as a work permit, while deportation proceedings are ongoing. The immigration law team at the Wirth Law Office is ready to stand by you as you attend hearing court hearings an d gather evidence for your case. An Oklahoma City immigration attorney will guide you through the maze of defenses and rules governing your deportation hearing. You have a right to have an attorney defend you in Immigration Court. For a free consultation with an Oklahoma City Immigration attorney call the Wirth Law Office- Oklahoma City Attorney at (918) 213-0950. You can also submit an email question from the top right corner of this page. We will respond as quickly as possible to all questions.